Fruitless Pursuits: Toy Fair 2013: Star Trek Enters The KRE-O Universe! 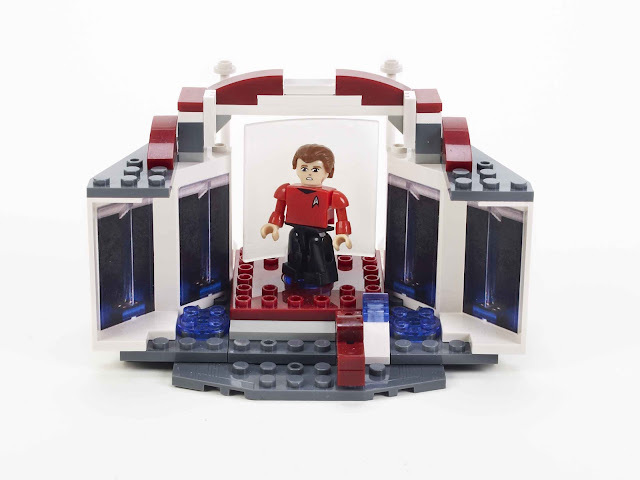 Toy Fair 2013: Star Trek Enters The KRE-O Universe! 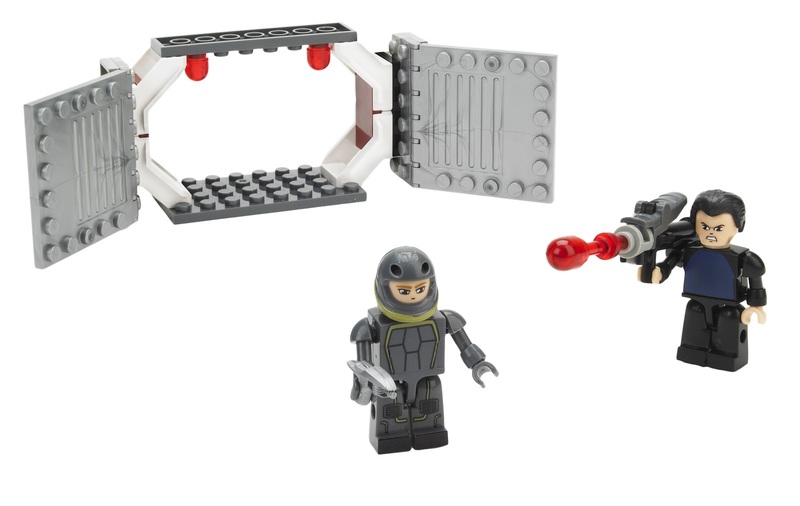 Not only is KRE-O tackling GI Joe this year, they are also throwing down the gauntlet with the most obvious answer to Lego Star Wars... KRE-O Star Trek! 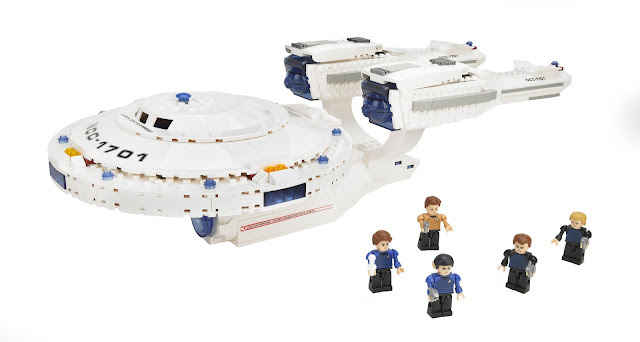 Launching along with Into The Darkness will be a solid series of Star Trek building sets and some blind-packaged minifigures. 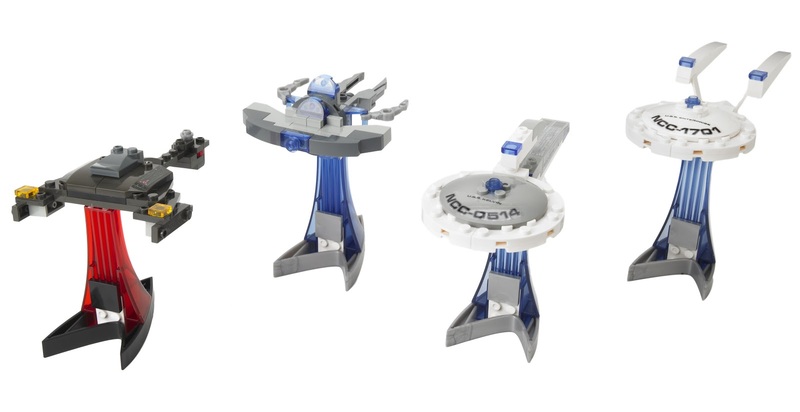 For the most part, these are pretty small sets with the exception of the Enterprise shown above. 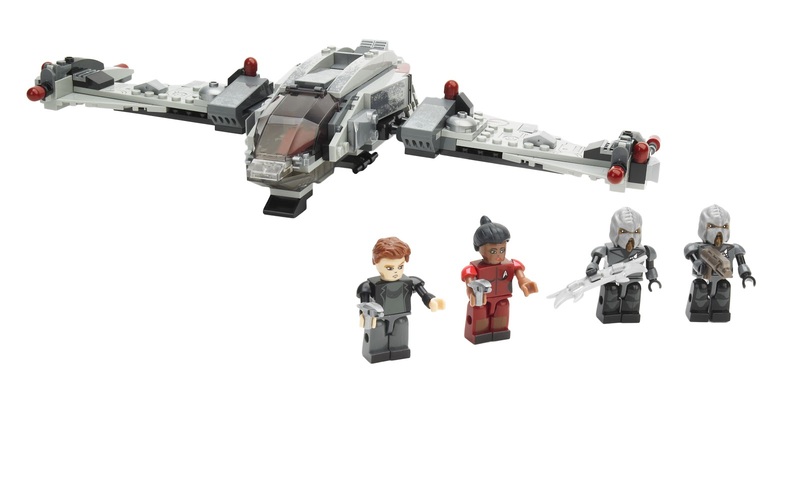 Lots of cool and unique minifigures in there as well. Click through the jump for images (courtesy of the wonderful Travis Denman and Vinylmation Kingdom) and thoughts (courtesy of me!). Ok minifigures. I think KRE-O shines in their non-human figures, and this line brings a whole bunch of non-humans into the mix. While the human heads are a little wonky, their non-human heads are pretty amazing. 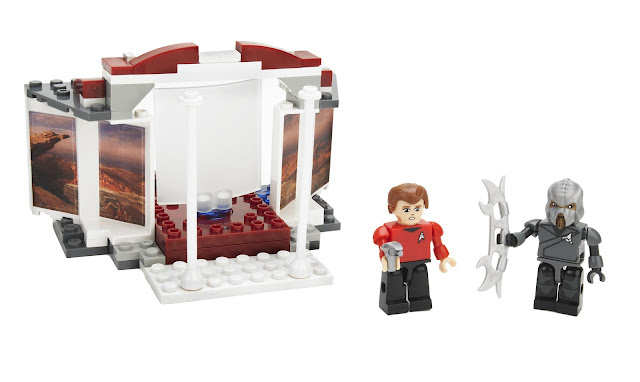 As for the sets, it starts very small with a super cool Scotty / Transporter set. This is one of the best introductory models we've seen in a while, and could have been saved for a higher price point. Big ups to Hasbro on this one. The series peaks with the fully playable U.S.S. 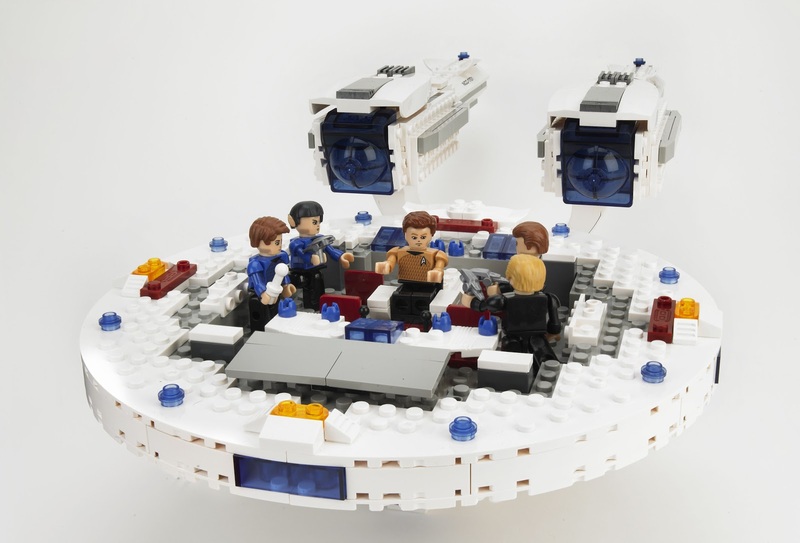 Enterprise set. The scale has been fudged a little, but it's so worth it for the bridge setup. The other sets are all pretty cool. 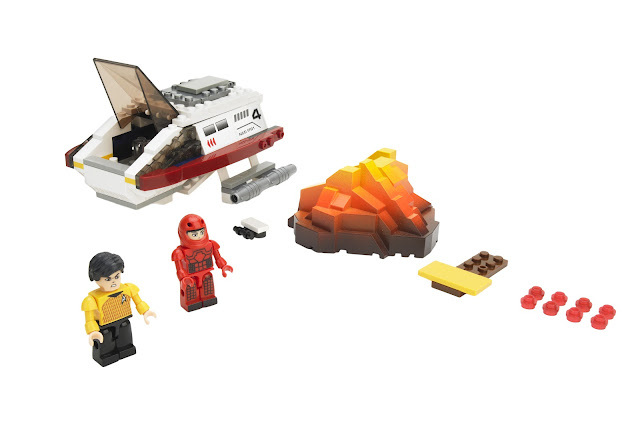 Small-ish ships, a little bit of environment, and must-have characters like Sulu and Uhura. Plus there are Klingon KREONS, which just sounds really cool. And there are minis! While I usually shy away from minis, the presentation on these is really nice. They resemble small scale models, instead of toys. I think the bases are a great touch in defining the minis and giving them a purpose.